I looked at this week’s picture and thought “Home!” I know this boat – I grew up with ferry travel in my blood. Here in the Puget Sound region, this method of travel is well loved and, at times, hated. To me, it still means ‘adventure ahead’. I will shortly become much more ferry-dependent, as we have purchased 10 acres of land on Whidbey Island, where we will be building a new home (see pictures below my story). I look forward to becoming a ‘regular’ on the Mukilteo – Clinton run. The boat moved relentlessly toward the dock on the other side of the sound. This trip was usually for fun and adventure, the island destination a place for crabbing, boating, and freedom from routine. Today’s trip was solemn, a funeral to attend. Too many funerals lately. That time of life, I suppose. Life seems more precious, like a jewel once lost that had been returned to safekeeping. Looking around, I see the sky coloring, the island nearing, everything moving me to the next moment, an inexorable pull like the moon on the tide. Life will go on, into the open. My new view…my writing desk will face this direction. It already feels like home…. So true, life will go on, and it’s just as happy to go on without you as it is to go on with you. I don’t know if I could have my desk facing that view. I’d spend more time watching the goings on outside than I would spend writing. Thanks, Adam. If it gets too distracting, I’ll turn the desk around!! Love the tone of this.. and such beauty in your new home.. congratiolations. Great story and I’m liking the beautiful view from your writing desk. May it bring you boundless inspiration! Thank you, Jeremy. That’s what I’m hoping for. My desk today looks out into the branches of a tree and while that has bee good, I think this will be more inspirational. Thank you, Jan. I’m glad you enjoyed it. Every now and then someone will write a little facet of truth that gleams with a beauty that cannot be denied and rarely explained. Your story brought tears to my eyes for a number of reasons and shot immediately to the top of the list of all the stories you’ve written. The last line, when i speak it in my head, even now, as I type, brings tears. Thank you, Doug. Your comment made this week’s effort feel worthwhile. The experience I’ve gained in death and dying has been akin to taking a crash course in empathy and understanding. I’ve found I can use my experience to help others and I try to see that as a silver lining. Because going through sure as hell sucked. :-). Lovely story with great sentiments Erin. I agree – one of your best. And I’m livid about the view from your writing desk… I face into a dark corner and sometimes it shows. 🙂 Looking forward to seeing what you produce from your new work station. Thank you, Sandra. If I start writing too much about sunbeams and songbirds, I will scurry to the nearest dark corner for inspiration. And don’t forget, we are all envious of your barging lifestyle, so there’s that!! Beautiful view…beautiful story. “Too many funerals…” How well I related to this. As you say, it’s the time of life. I won’t go into details. Suffice it to say, I related to your story on many personal levels and, I too, find myself in tears. Thank you, Rochelle. Since my family moved away from this area, I am the designated representative to funerals, it seems. I have been to too many, between friends and family. The natural consequence of that is learning to appreciate life.a little more. Every day is a gift. Thank you for reading. Are you near Langley? Lots of Sounders here it seems… Maybe we will have to have a mini convention in Seattle. 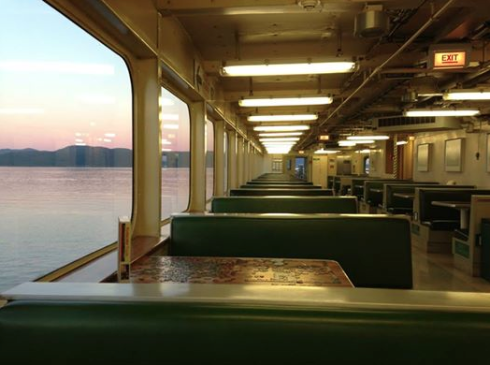 By the way, your ferry is much cooler than ours. 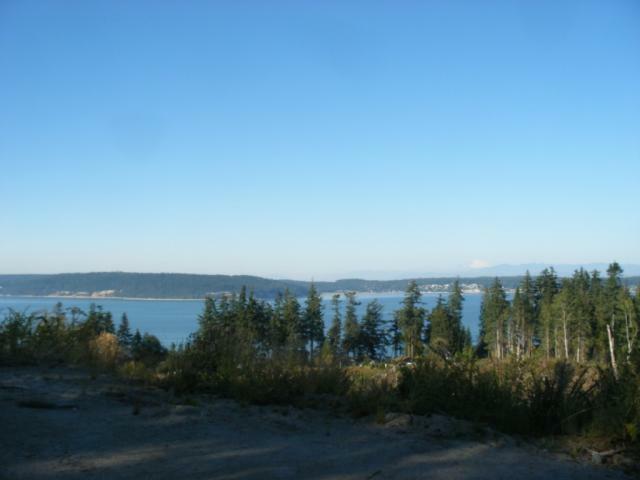 Yes, indeed – just outside of Langley overlooking Saratoga Passage. We should have a convention here. Maybe hold it at Whidbey MFA?? Which ferry is yours? I think they’re all cool, but I’m still in the honeymoon phase. Thanks for the wonderful picture! A beautiful view,Erin. Impressive writing! Thanks you, Celestine! Nice to see you here! Beautiful, moving post, Erin. We seem to have seen this prompt similarly. Is that Port Townsend across the water, from your desk? If so, then our posts are truly linked! Nice work, really lovely. 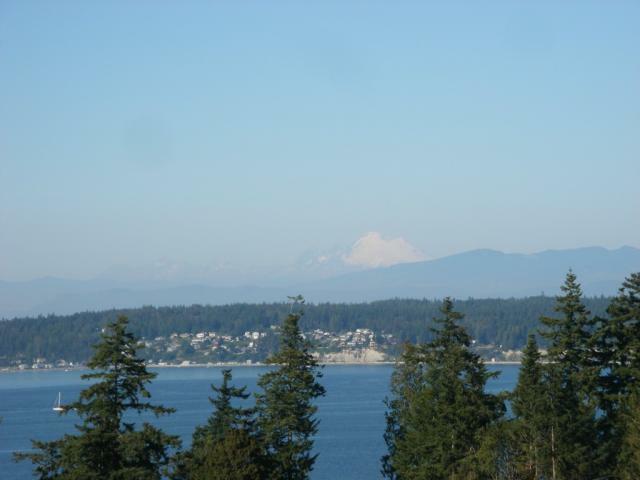 Hi – the view across the way is Camano Island, which is to the northeast. Port Townsend is south of whidbey and further west, but all linked in the Puget Sound. So many beautiful spots along the coastline, it’s hard to complain about much. Nice! I have’t really explored Camano, but the cliffs look so much like PT that I thought I’d struck gold! My story is set there… and it’s been funny to see that there a quite a few of us FFs who live here. 😉 Thanks for clarifying. I had no trouble relating to the “too many funerals” line. Attending one always makes me consider my own mortality. We’re all living on borrowed time–like that jewel–and hope that our soul will be returned to safekeeping.